Tesla stock was down as much as -4.76 per cent in after hours trading Wednesday as the company missed earnings expectations and fell short of Model S sales last quarter.Street chatter indicates that while the results weren’t terrible, there was little to change the minds of doubters. Tesla revenues came in at $306 million, beating analysts’ expectations. But earnings missed at $-0.65. Analysts expected $298,400,000 in revenues for the Palo Alto-based carmaker, according to Yahoo. Earnings were expected to come in at -$0.53, compared with $-0.69 a year ago. Here’s the link to the company’s full results. 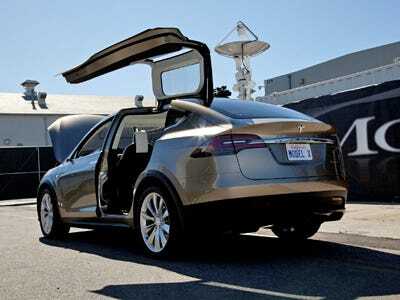 The company said it delivered approximately 2,400 Model S vehicles. That’s a bit short of analysts expectations. Ben Kallo, a senior research analyst at Robert W. Baird, expected 3,013, according to the San Jose Mercury News. Tesla also said Q1 order cancellations “are likely to remain elevated” as a result of new company pricing timetables. The company says it plans to deliver about 20,000 Model S units in 2013, with 4,500 deliveries in Q1. Tesla watchers say this was a huge quarter for the company. In November, Tesla said it was on track to deliver 2,500 to 3,000 units of the all-electric Model S sedan in the fourth quarter after delivering just 250 cars in the third quarter. It’s also the first earnings announcement since Elon Musk’s spat with the New York Times over reporter John Broder’s harsh review of the Model S.